Just south east of Portland is a small town along the Willamette river called Oakridge. Home to 3720 people with an economy based on logging it is suffering from the economic crisis like most American towns. 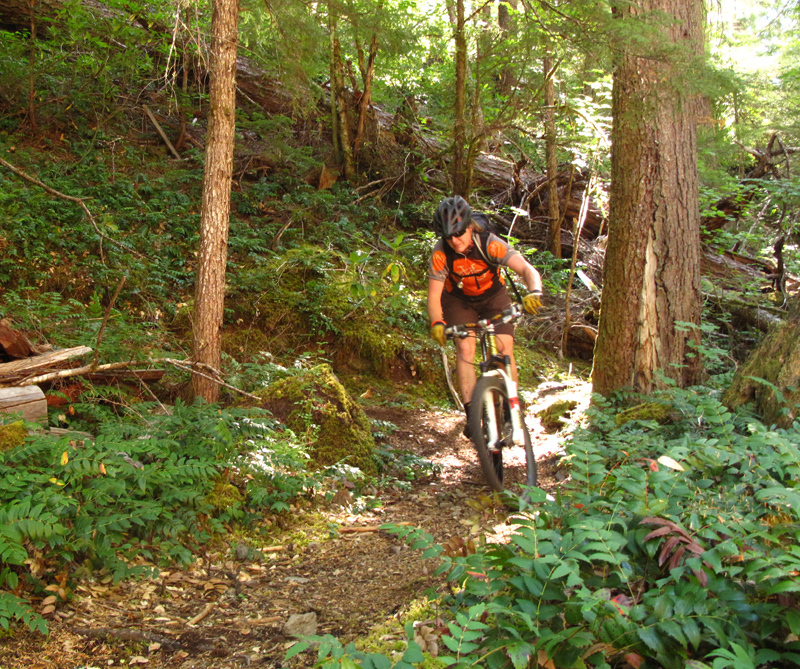 Also due to its location and logging history it has many roads that access many great single track trails. 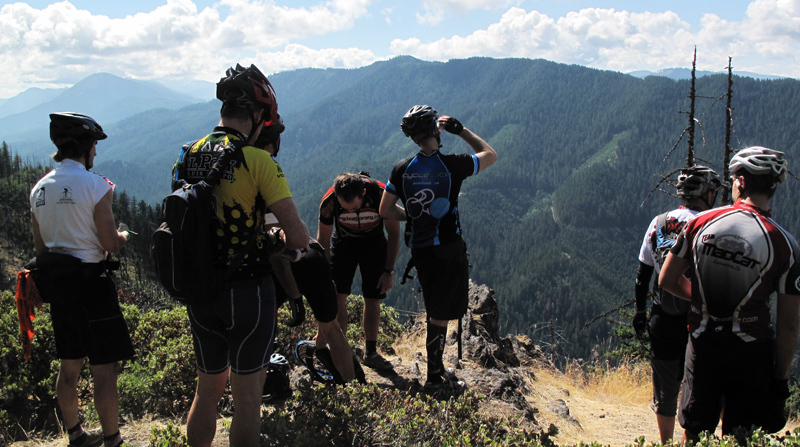 Thus its new life as ” The Mountain Bike Capital of the Northwest ” was born. 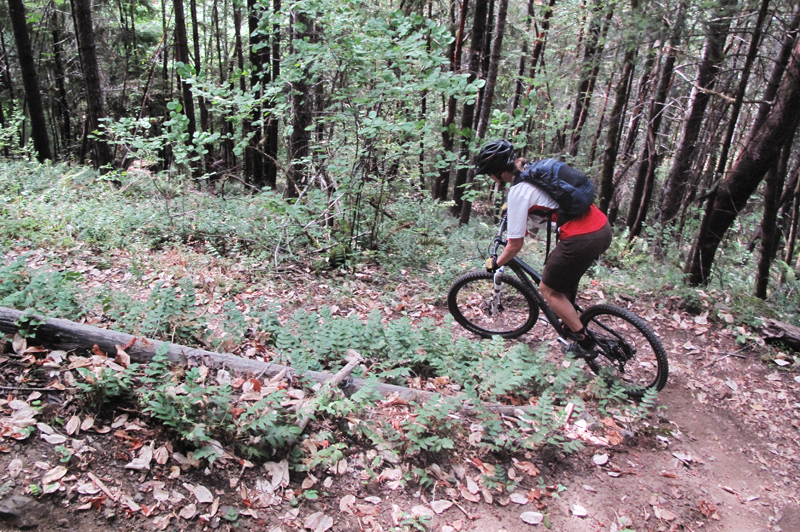 With its relationship with IMBA, creation of the Greater Oakridge Area Trail Stewards ( GOATS) it has been able to create a large and diverse trail network. 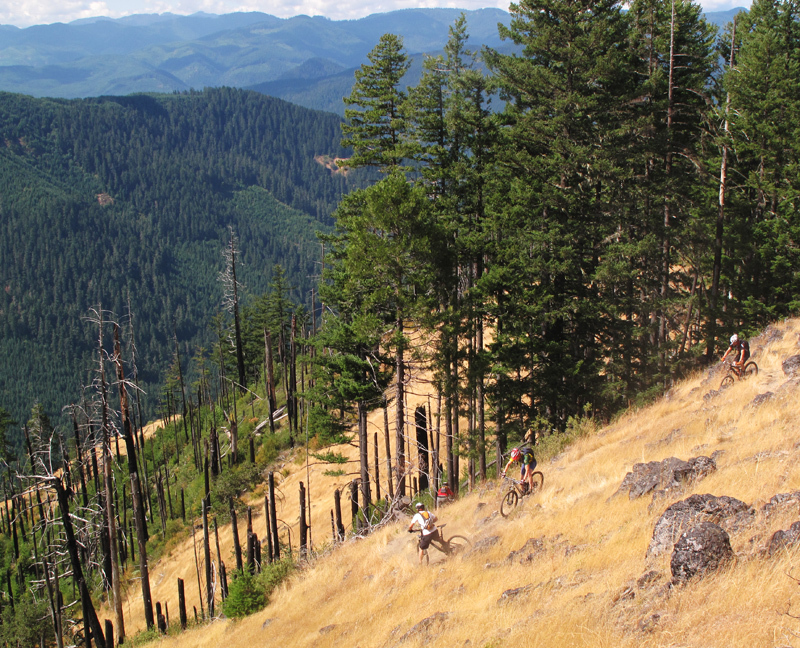 Mountain Bike Oregon was started in 2005 as a festival to bring mountain bikers into this area to experience a great single track network within a festival environment. 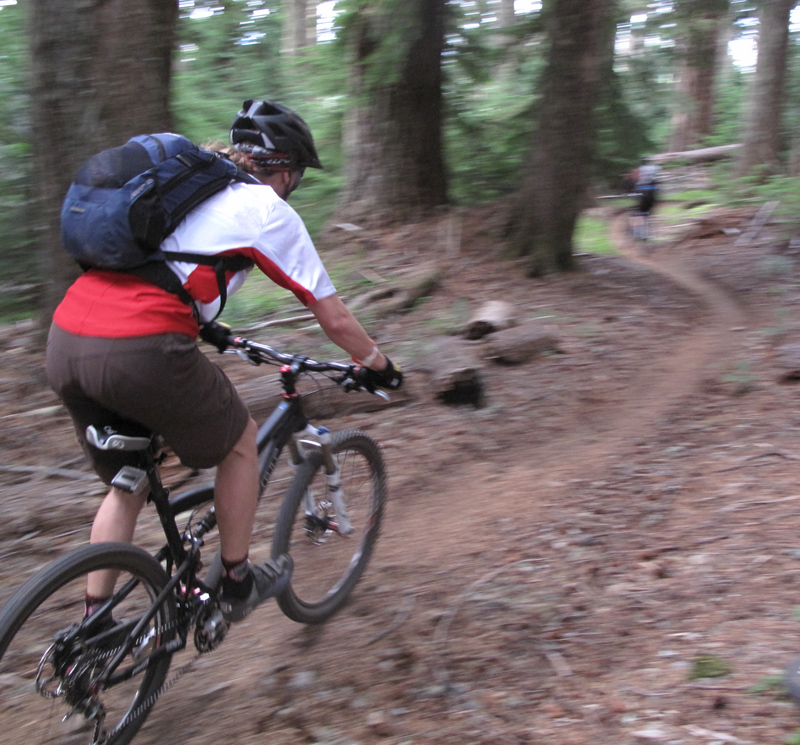 All rides are guided and shuttled to allow the festival goers to maximize their single track experience. 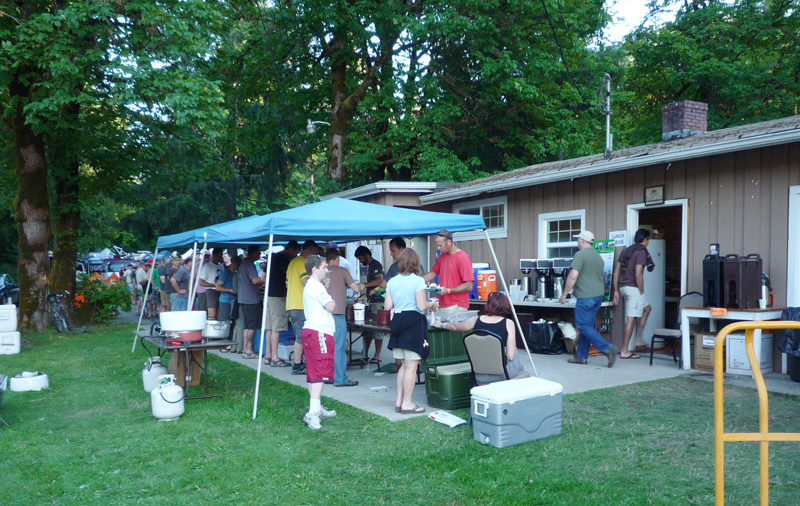 With great support from the community and bike industry many bike companies come to offer demo’s, everyone is camped in one area, there is a beer garden for people to finish off their day with one of Oregon’s fine micro brew offerings. 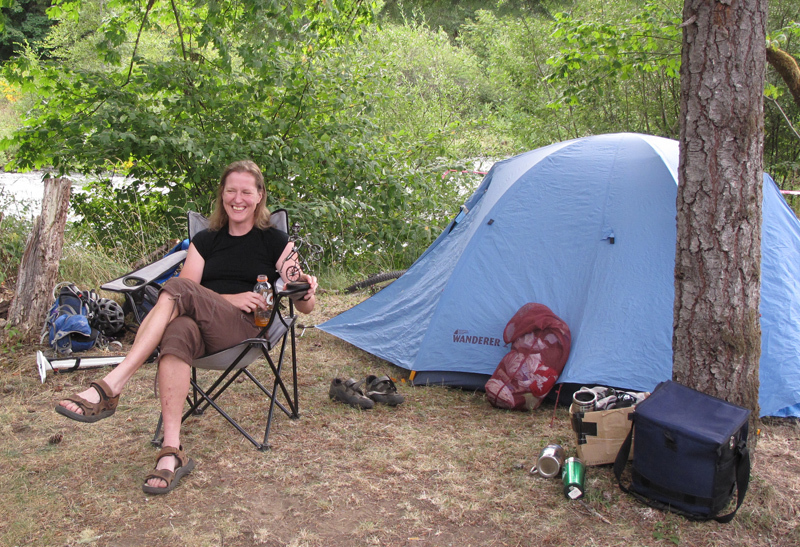 Pitching tents in Greenwater park along the Willamette River. Dinner was served under the tents and cooked by Kiwanis. Breakfast was served by the Moose Lodge. Two local groups that raise money for community benefit. End of the day ended at the beer garden which was stumbling distance to the tents. Our tent between the beer garden and river. Here I am with my bike toss trophy! Each morning started with the shuttle pick up. 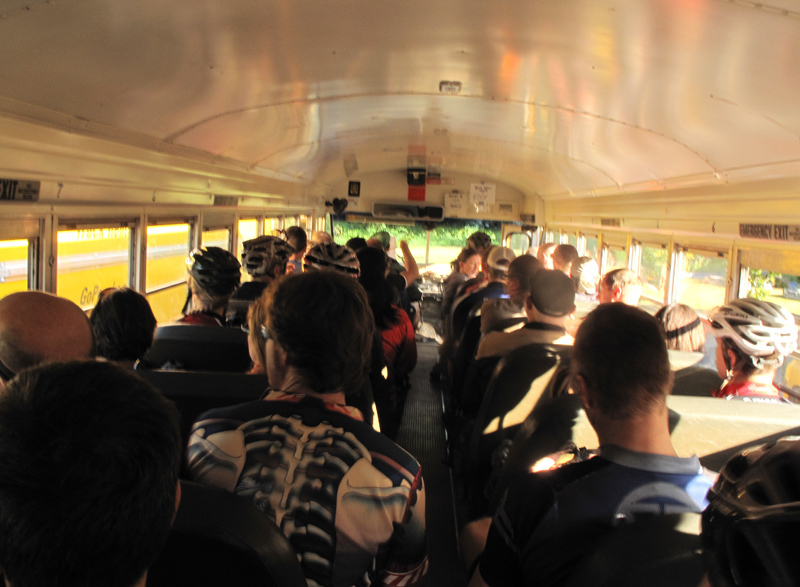 Bikes were loaded into a cargo van, people were loaded into the busses and off we went! 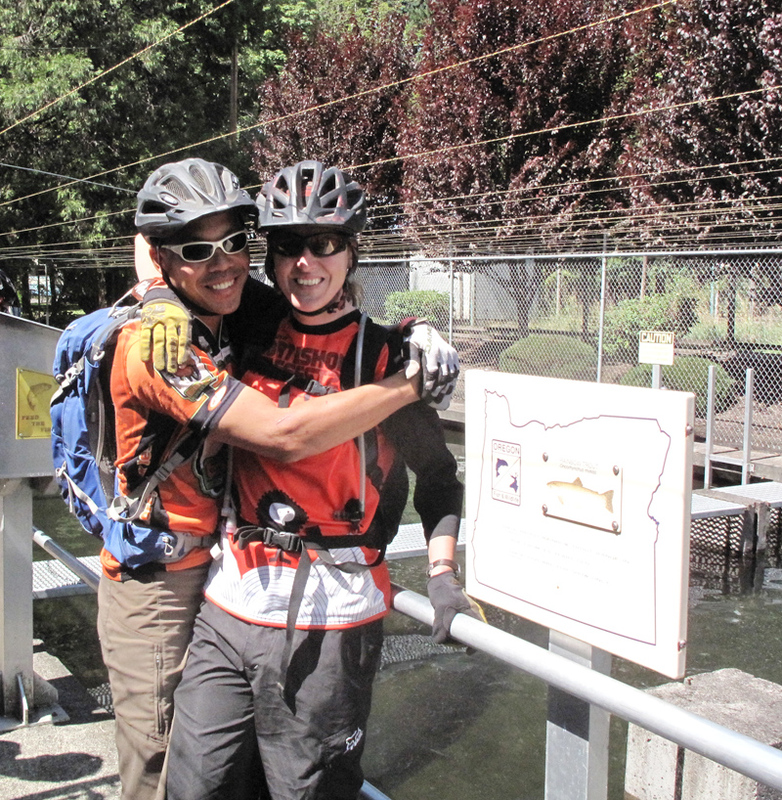 The first ride we did was the Middle Fork of the Willamette. 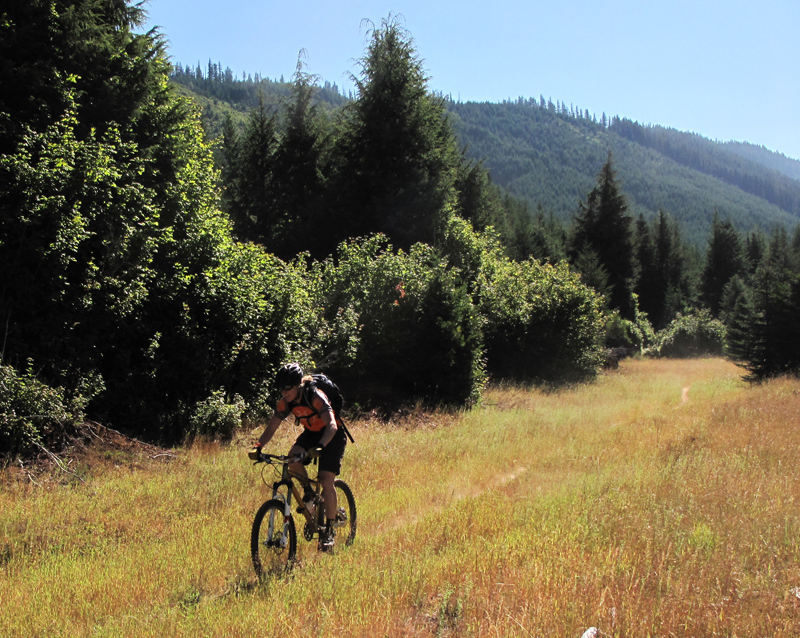 Riding along the Middle Fork Trail. 25mile ride. 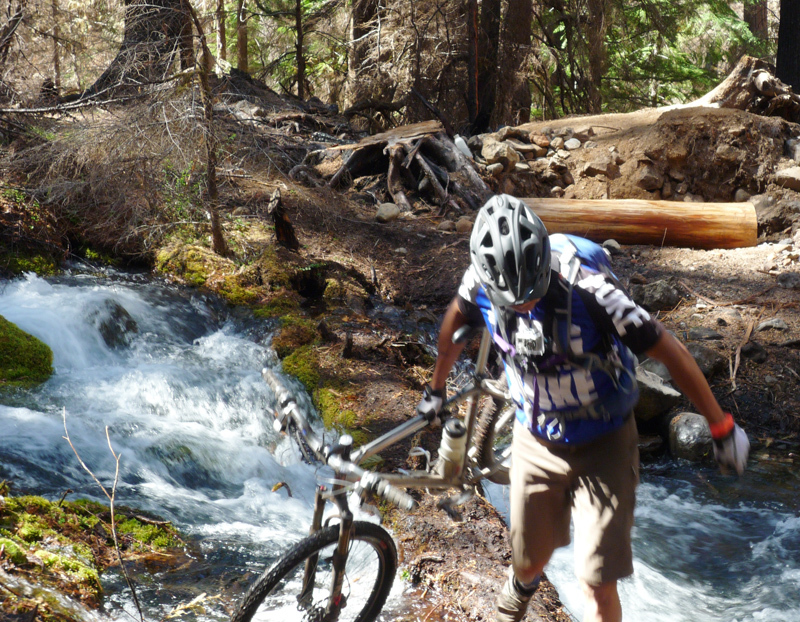 Riding through the burn area of the Mid Fork Trail. 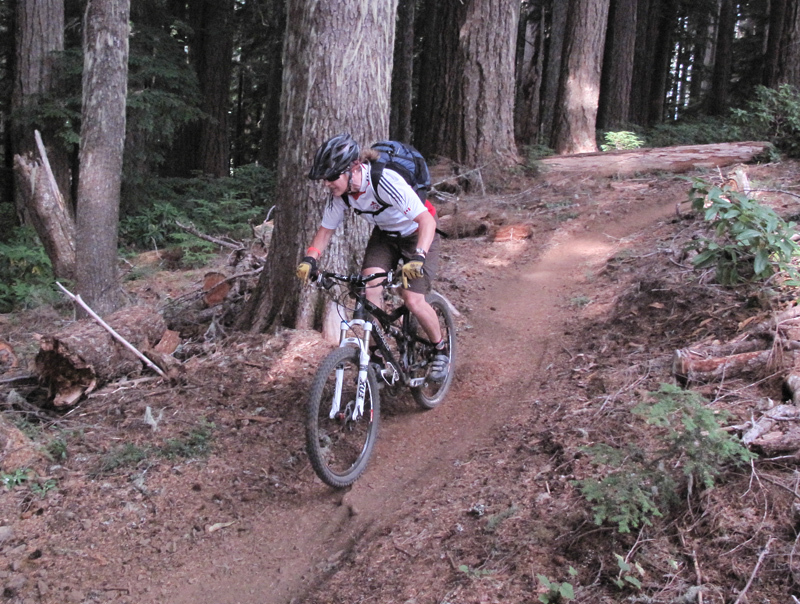 One of the marked trail intersections. Back at the Shuttle that will take us home. 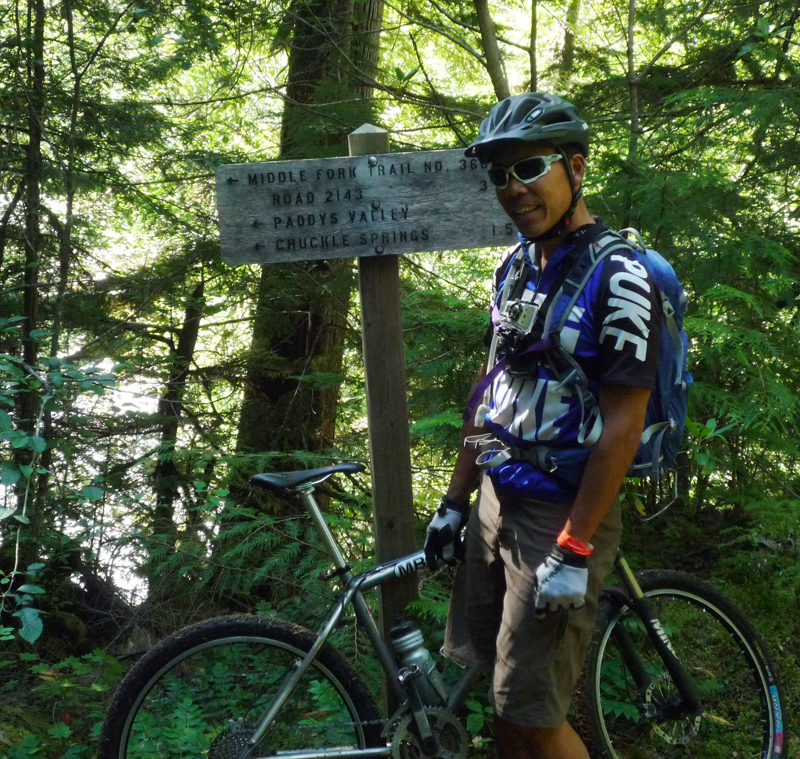 MBO – Middle Fork of the Williamette from Lee Lau on Vimeo. 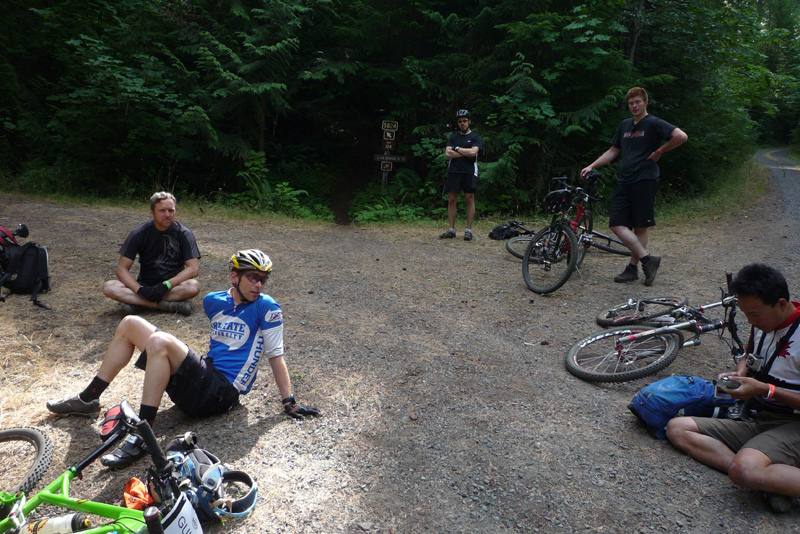 Next day we rode ‘Epic’ – Alpine, Tire Mountain, Winberry ride. 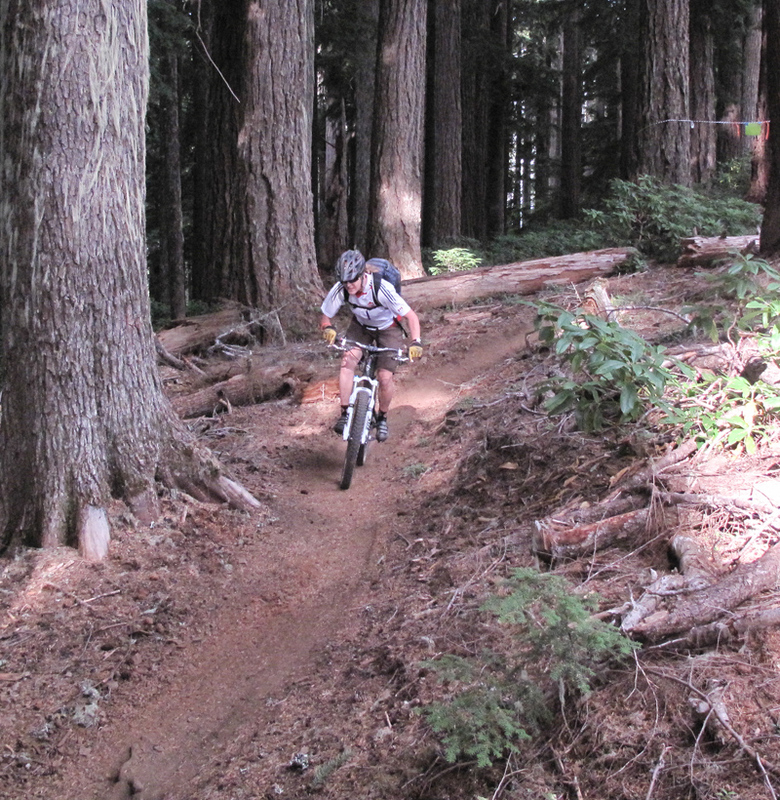 22miles of singletrack! Alpine Section – home of the Oakridge SuperD. Climbing up Tire Mt. We didn’t get a lot of pictures of the Tire descent cause it was FAST and SWEET! Bottom of the Tire Mt. descent. Chillin’ at the resevoir waiting for the shuttle home. 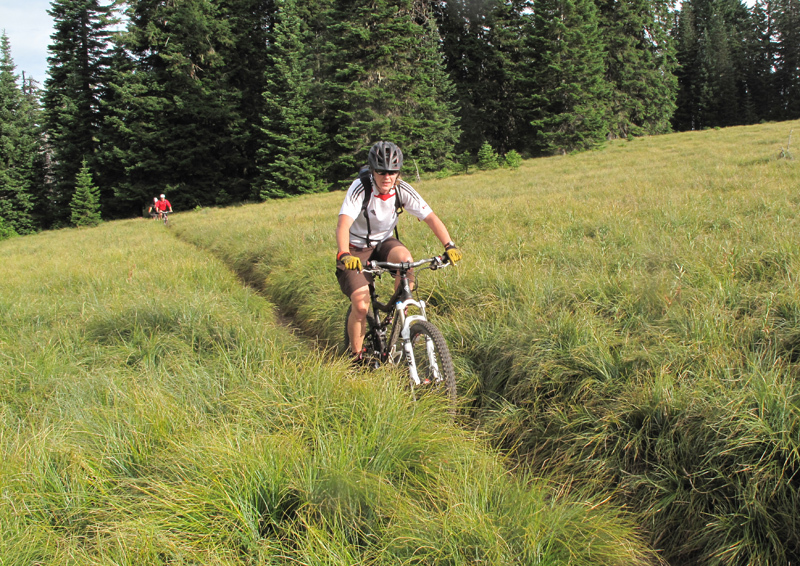 Or you could do the 20mile road ride! 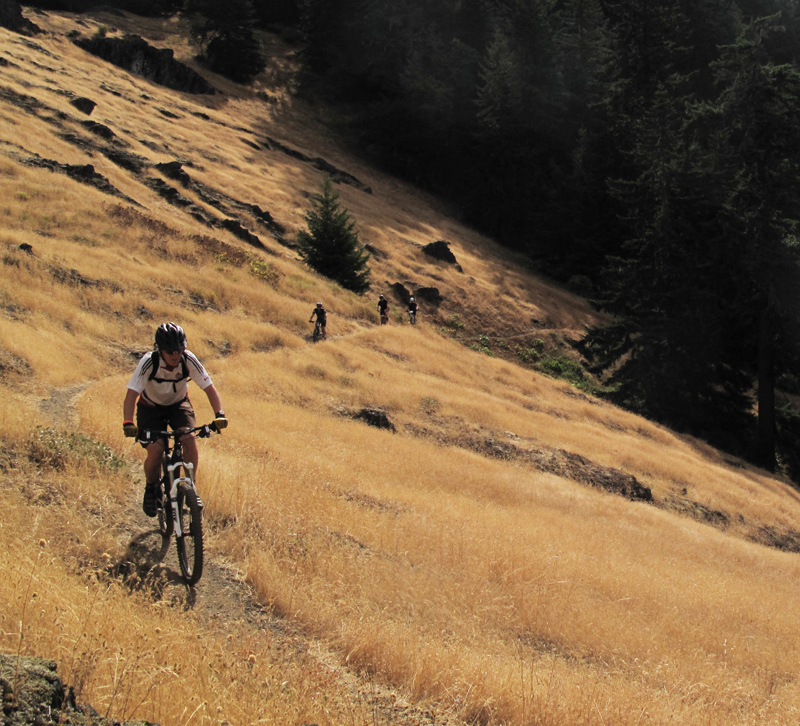 Mountain Bike Oregon – Epic Ride from Lee Lau on Vimeo. Sat night was party time! 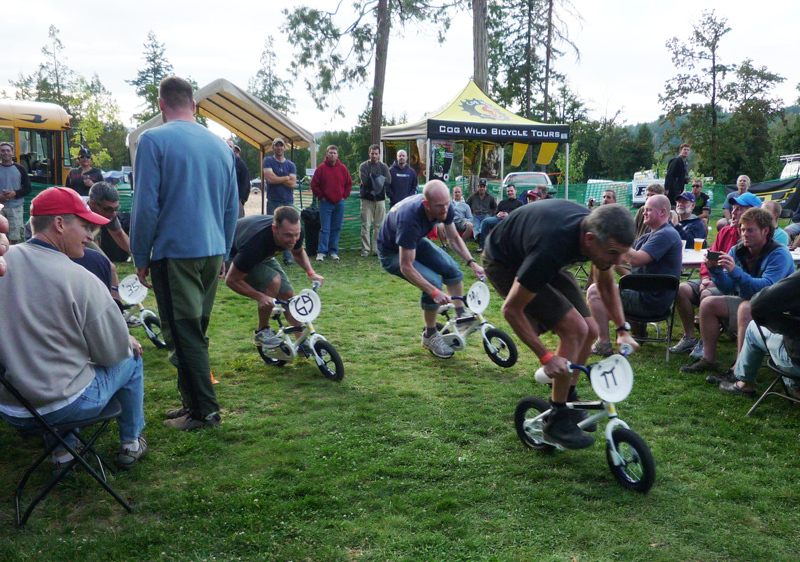 Pixxy bike races sponsored by GT. 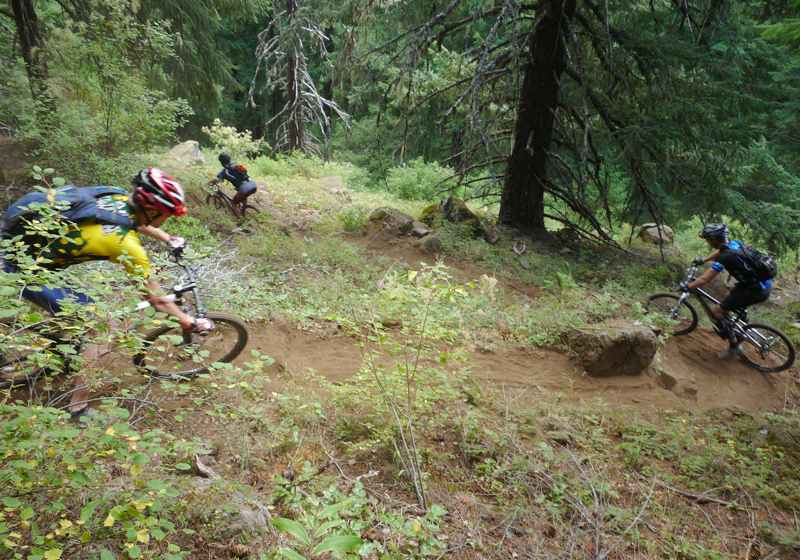 Mountain Bike Oregon – Kiddie bike race – August 21, 2010 from Lee Lau on Vimeo. 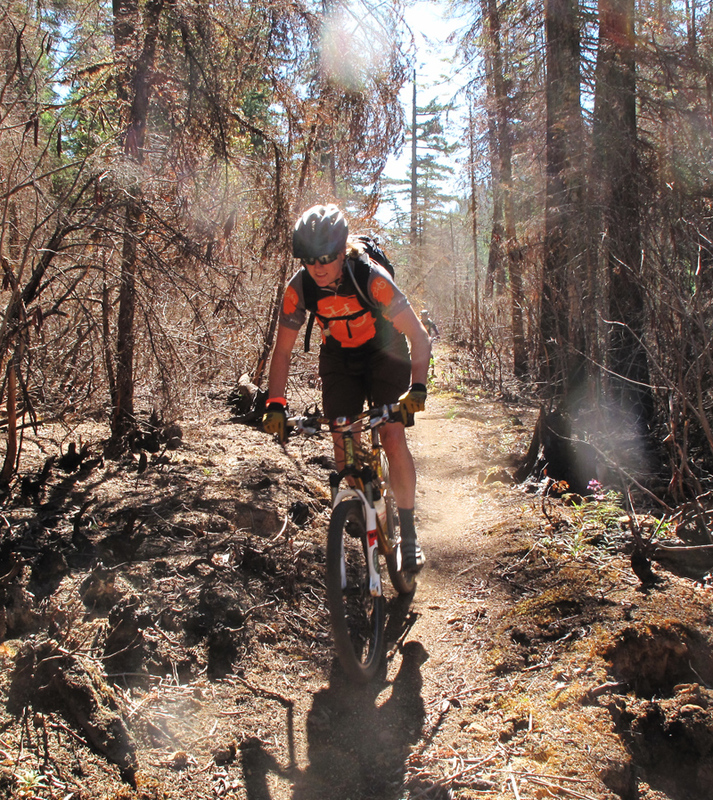 Next day we did a short 14 mile shuttle on the more technical trail in the area – Heckletooth. 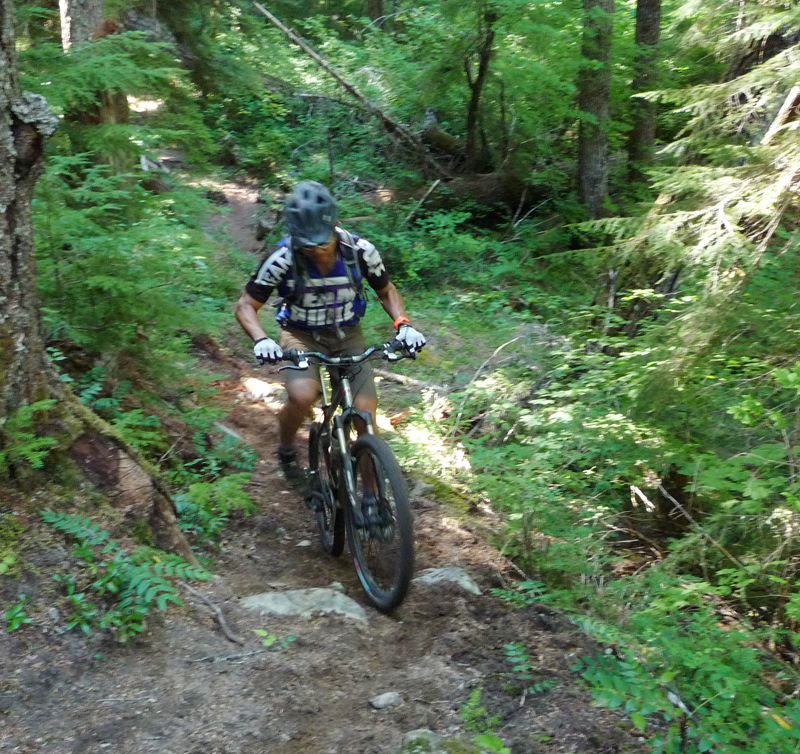 Lots of tight, dusty switchbacks adds to the tech of this trail! Top of Heckletooth and the view! We stopped by the fish hatchery to check out some huge sturgeon. 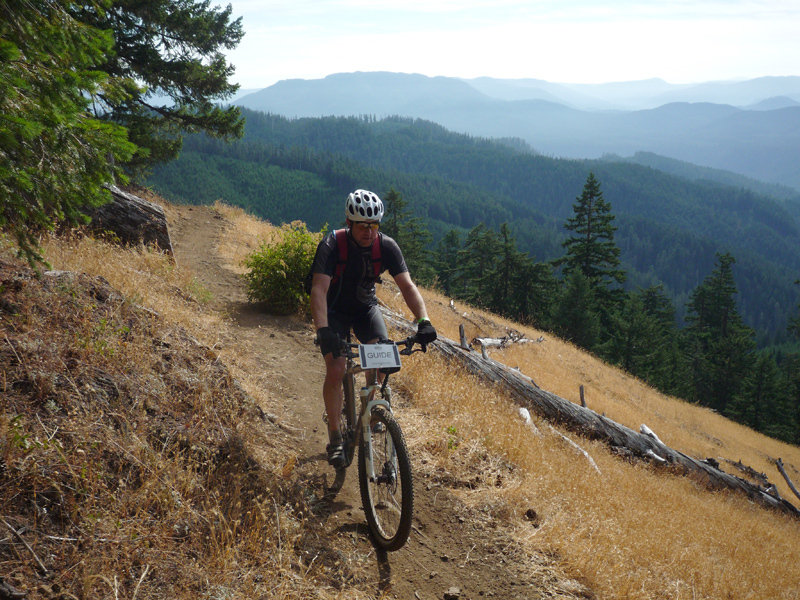 This entry was posted in 2010, bike and tagged mountain bike oregon. Bookmark the permalink.